2007 Fast-Starting Like Mad…Like Usual! The holidays of 2006 are begining to fade away into the distant past already as 2007 is rocking and rolling for the Speers gang! 2. Grandma Kat turned 84 last weekend! She is trucking right along and still amazes all of us. She might just outlive some of her own great-grandchildren! 3. Business is off and running again this year as we offically launched our health insurance division with Equal Health & Life via www.equalhealth.com . Funny thing is we are going to be one of the top sellers for Standard Life & Insurance Company (www.slaico.com) which has been around since 1888 and is based in all places in Galveston, Texas! They OWN Moody Gardens adn all things Moody – Moody Mansion, etc. Funny how 37 years later in life I now work with a company I never was there after all of those years living and playing in their backyard…..God is good. 4. We started a new equity finance division as well called Equal Access Financial Services. If you are making house payments or have a 401k plan you have got to get this book (Stop Sitting on Your Assets by Marian Snow) and read it. It will change your retirement plans. Anyone can be a millionaire by age 60 easy with this concept. Her book is on the top ten on Amazon and she is working directly with us as we launch this new program in the DFW, Houston, Austin and Oklahoma markets this year… http://www.StopSittingOnYourAssets.com is her site. 5. Julie turns 32 this weekend……moving yet another year further from 30! 6. My sister, Becky, turns 33 next week! 8. Our young singles class at Crossroads is going very well. 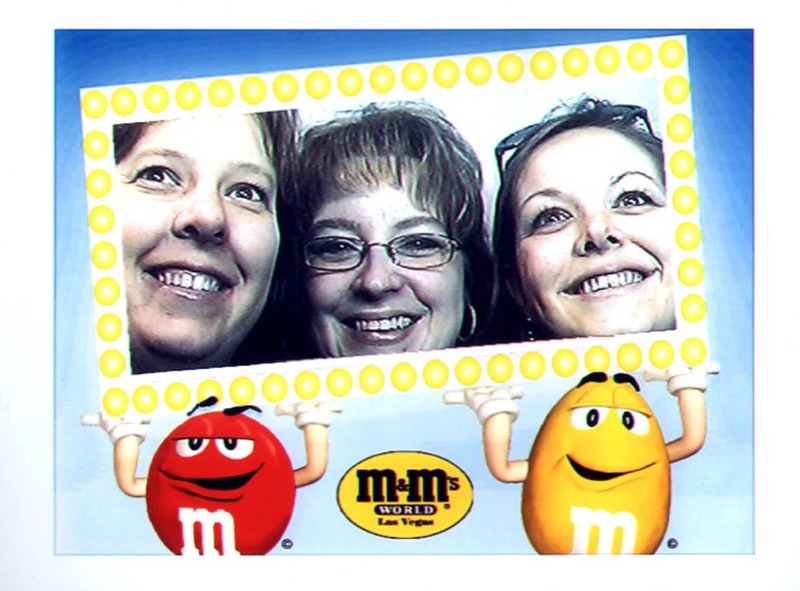 The first couple to come out of this group gets married next month…..exciting! Will there be more? I bet, but regardless, they are a great group of young people that love God! 9. 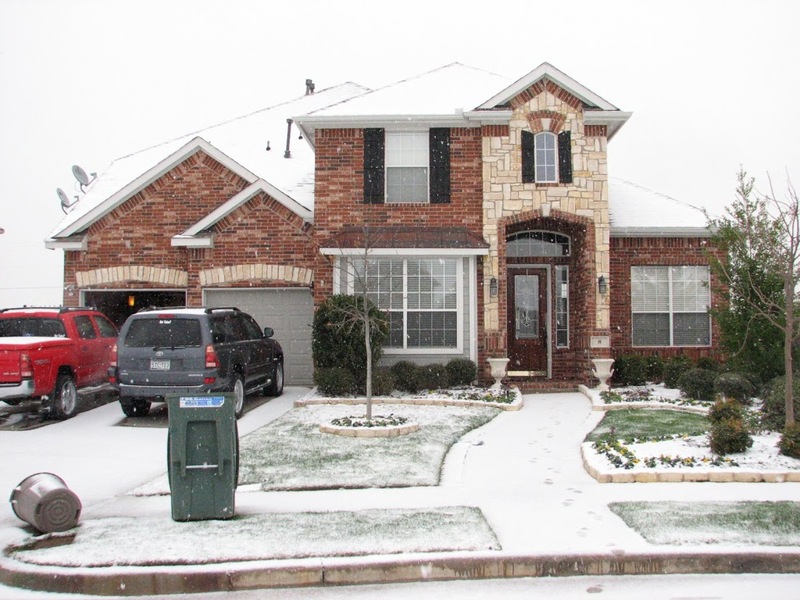 We had our first snow and ice of the year too! It sure was pretty! 9. We are going skiiing in Colorado while visiting Clint and Alisa Locks in just two weeks! We are taking Matt & Melaine Sherman with us! Gonna be a blast! 10. Oh yea, in other big news, Bill Parcels has resigned as coach of the Boys after they blew it in Seattle during the playoffs….looks like it is going to be another long off-season as we tryu and figure out who the new coach will be! See my Cowboys update and prediction. Norv Turner and Jason Garrett will take over the team in 2007 and lead the team and star QB Tony Romo to its next SuperBowl appearance! Turner will retire and Garrett will take over as head coach. He and Romo will help the Boys win TWO more SuperBowl titles – one in 2009 and another in 2011, which will be held at the NEW Texas Stadium in Arlington! 181 Days Until TRAINING CAMP 2007 in San Antonio! Get ready BIG DADDY….I’ll be coming to see ya! The Big Tuna is Done Fishing…. There will be no more Tuna Talk on channel 4 news….it’s over. 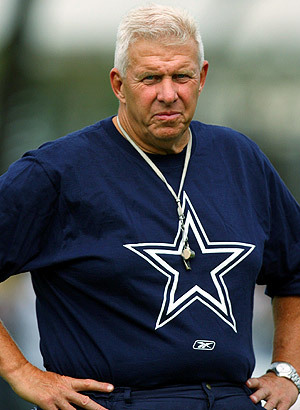 The Big Tuna, Bill Parcells, has decided enough is enough….even he can’t fix these Dallas Cowboys. Jerry oh Jerry what will you do now?